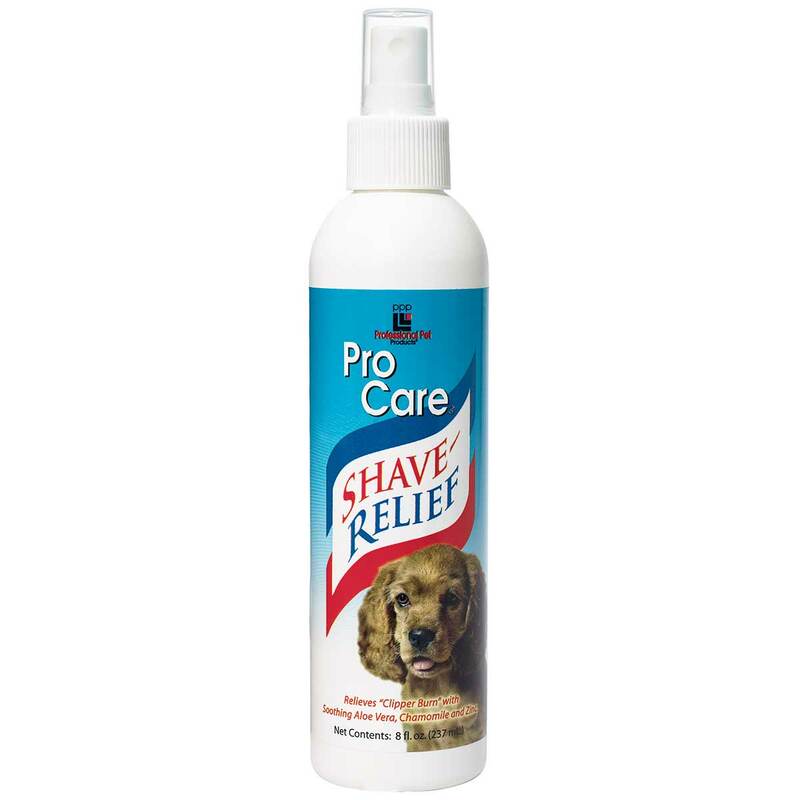 PPP ProCare Shave-Relief Spray is specially formulated to be used after a close shave. It instantly relieves clipper burn and minor skin irritations which may cause the animal discomfort. The unique combination of Aloe Vera, Chamomile, and Zinc soothes, moisturizes and calms the skin, providing lasting relief and preventing scratching and biting which can further irritate the skin.